Australia won the toss and chose to bat first at Kensington Oval. They posted a colossal 641 and that too, at a run-rate of 4.21 giving them a lot of time. That was thanks to centuries from the Waugh brothers and one by Justin Langer. 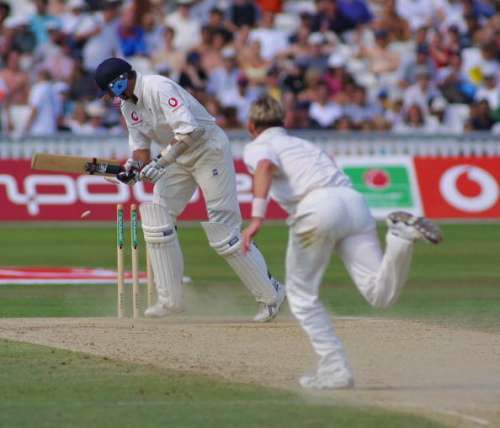 In reply, England scored 432 in their first innings, thanks to a ton by Mark Ramprakash. However, they couldn’t save the follow-on falling short by 9 runs. Asked to follow on, they were skittled out for 184. Shane Warne won the Player of the Match for a massive match haul of 11 wickets, including a 7-for in England’s first innings.